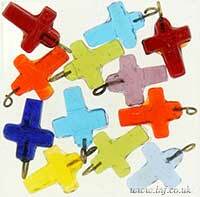 Small plain transparent glass Cross. As they are hand made every one is a bit different. Size 12mm by 15mm and 4mm thick.